These are REALLY GOOD almond butter cookies all on their own!! 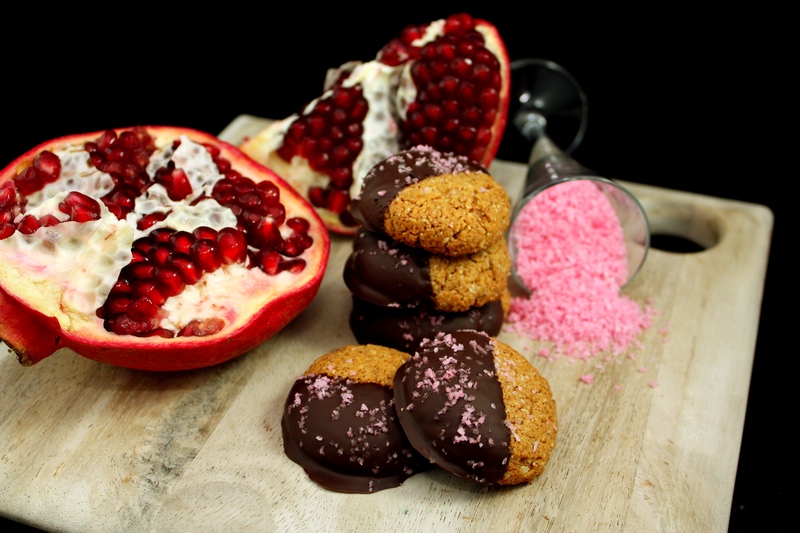 The Pomegranate Salt & Dark chocolate add beautiful color to this simple presentation. This recipe is from http://www.topwithcinnamon.com/2013/11/chocolate-dipped-peanut-butter-cookies-with-pomegranate-salt-gf.html I modified my cookies to use almond butter & almond flour…but check out her blog it has absolutely gorgeous photography! Either get pomegranate juice from when you cut a pomegranate in half, from crushing some pomegranate arils (seeds), or store-bought pomegranate juice. Use a spoon or pastry brush to splatter a piece of parchment paper with a little pomegranate juice. Sprinkle a few table spoons of salt over parchment paper and use a fork to gently stir. Splash on a bit more pomegranate juice if needed. Stir until all the salt is coated. Spread salt out carefully over the piece of parchment paper and leave to dry. Once dried, store in a small jar or bowl. Preheat the oven to 350 F. Line a cookie sheet with parchment paper. Cream together the first 6 ingredients until smooth. Stir in the almond flour. Scoop tablespoons of dough onto the lined cookie sheet, spacing them about 2-inches apart. Bake for 8-10 minutes until golden underneath and on the edges. Transfer to a wire rack to cool. Melt the chocolate. Dip one half of each cookie into the chocolate and place onto a piece of parchment paper. Sprinkle with some pomegranate salt (or normal flaky salt) and leave to set. 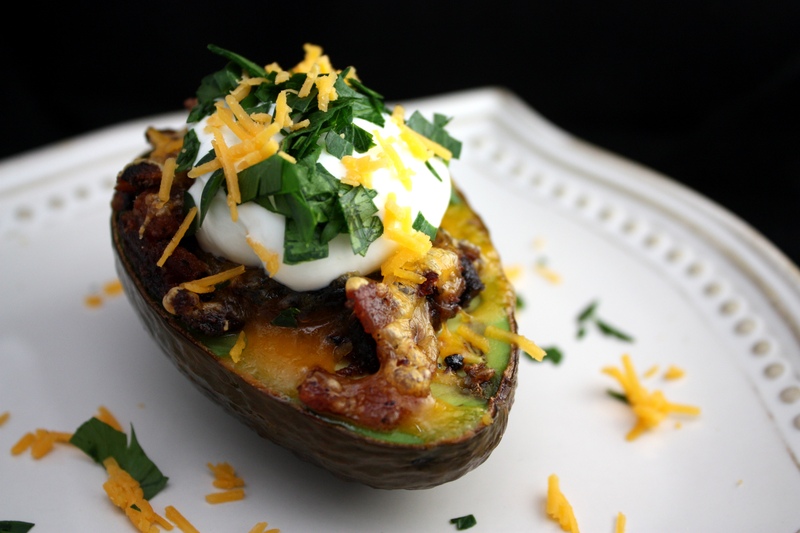 Honestly, I am not sure what I LOVE more…Bacon or Avocado! With this recipe, you don’t have to choose and that makes it another favorite at my house. This was derived from my baked potato cravings…since I limit my starches (potatoes)…I needed something to fill the void! 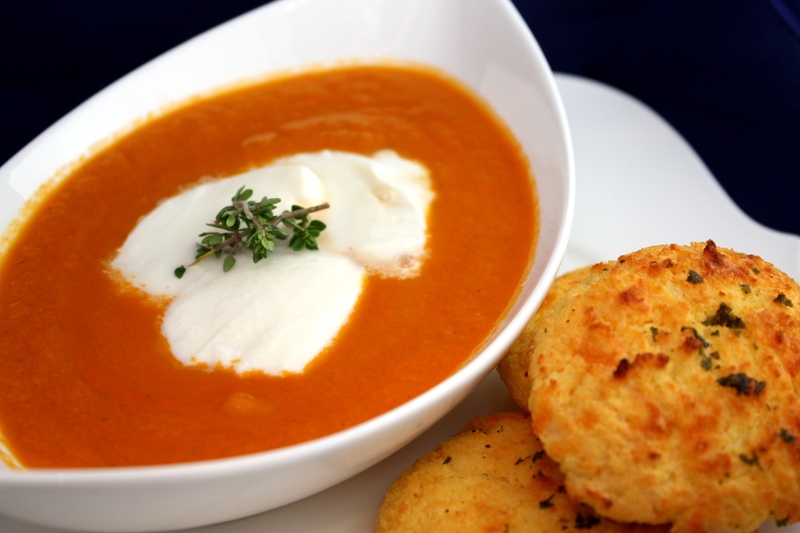 These work fantastic as a appetizer or as a side dish. Remove and top with Greek Yogurt and serve! Line a rimmed** cookie sheet. with parchment paper, place strips of bacon on sheet. **A rimmed cookie sheet may seem to be common sense BUT you would be surprised! I have heard of one too many grease fires, and I don’t recommend it!